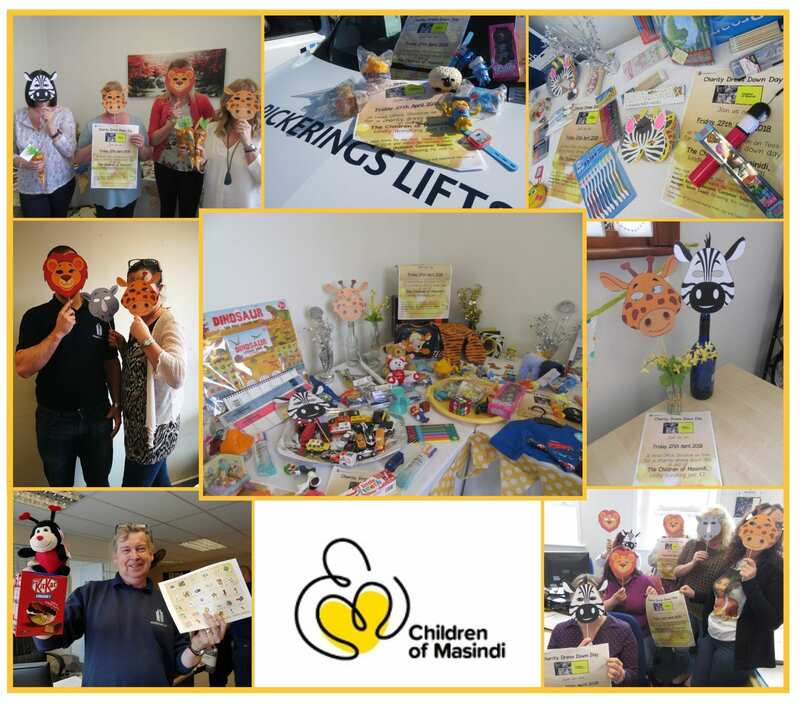 Pickerings Lifts has been raising vital funds and collecting donations for the Bristol-based charity – Children of Masindi. The Children of Masindi was established in 2008, and works to improve the education, health and well-being of children and young people in Masindi, North West Uganda, with a particular focus on the special needs Kamurasi Demonstration School. In just a few weeks, one of our colleagues from our South Coast Branch will be travelling there with the charity to assist with several projects. The aims of the visit are to fix the school’s roof and meet with the local village council to try and get a road that currently runs through the school diverted. Each volunteer is allowed to take four suitcases on the trip to carry additional supplies, and when they approached Pickerings Lifts to see if the company could help, staff rallied round to do what they could. A dress down day was held in order to raise money to buy supplies, and generous colleagues also donated a wide range of goods, from clothes and toys to stationery and toiletries.